8 years ago I was a musician struggling to make rent on a small basement apartment in Queens. Today, the “passion project” I created in that basement — Postmodern Jukebox — has millions of fans and tours all over the world — without the help of a major record label, television, or big investors. So…what happened to get me to that point? 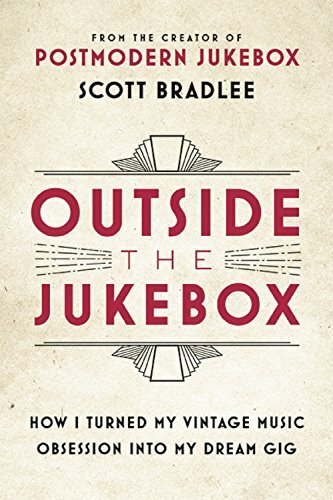 This blog and my accompanying book, “Outside The Jukebox,” aims to answer that. My goal is to make this a helpful resource not just for musicians, but for everyone that has a crazy idea that they want to make a reality. We live in extraordinary times, and these days anyone with an internet connection has the potential to become a global brand. If I can help just one person ditch their soul sucking corporate job and earn a living doing what they love, then I’ll consider this blog a success.